My hard cover and trade paperback books are available in libraries, online and brick-and-mortar stores. Most are published in an ebook format. 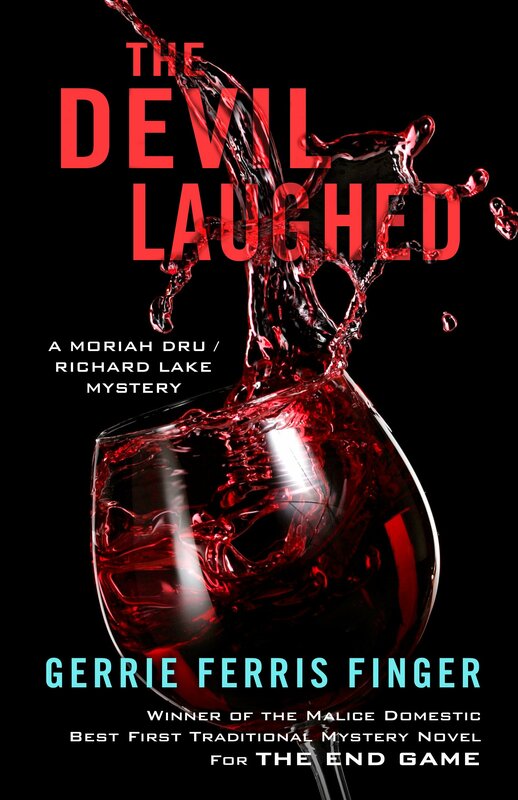 We present here award-winning thrillers and mysteries featuring Moriah Dru and Richard Lake. Ex-cop Dru started her private investigation agency, Child Trace, Inc. to further her career interest in locating missing children. But circumstances also has her rescuing a kidnapped police dog (WOLF'S CLOTHING, 7th in the series), a missing mother (THE DEVIL LAUGHED, 3rd), a young man art student (MURMURS OF INSANITY, 4th). Joining her cop lover and partner-in-solving-crime, Richard Lake, they fight gang violence in Atlanta to save children's lives. 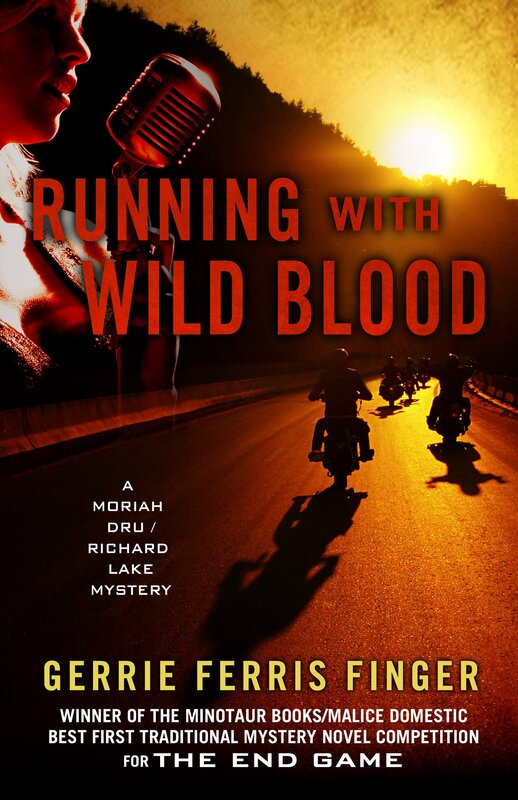 They ride with a motorcycle gang (RUNNING WITH WILD BLOOD, 5th) to unmask a diabolical, surprising murderer. 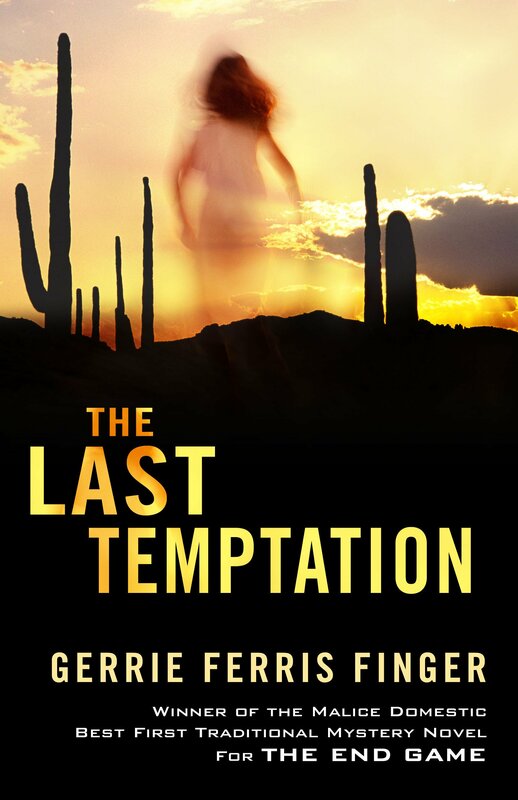 THE LAST TEMPTATION (2nd) in the series has Moriah Dru leaving Atlanta to find a missing mother and daughter in glitzy Palm Springs. 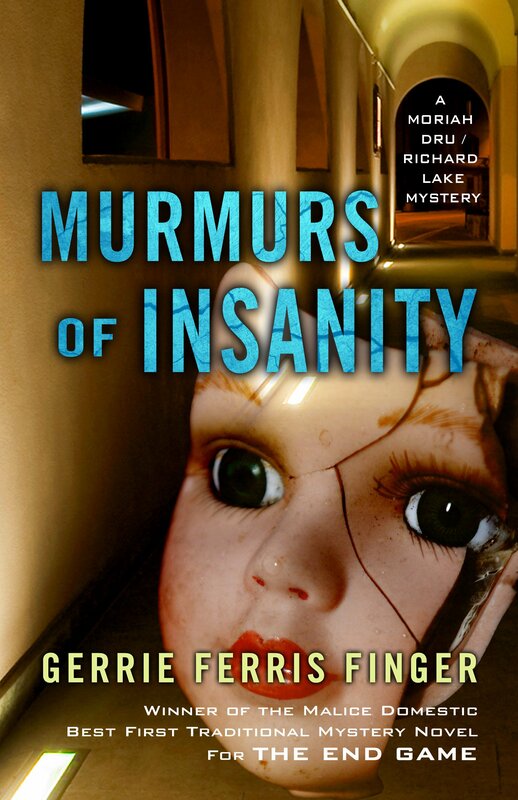 She meets an outlandish array of characters and and all could be murderers. Lake joins her when she's injured in a sudden storm. 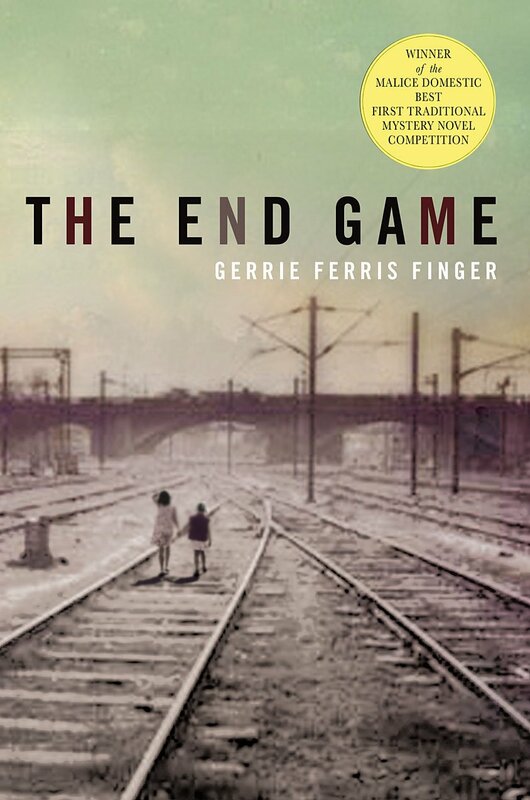 THE END GAME (the first in the Dru/Lake series) finds Dru and Lake hunting a national child-kidnapping ring named after chess pieces. We first meet search-and-rescue police dogs, Buddy and Jed. 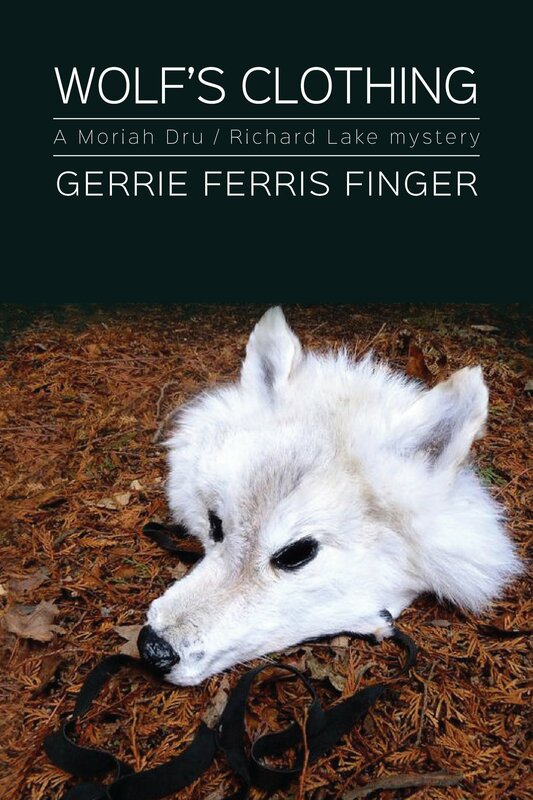 Publisher's Weekly praised the debut of this award-winning novel and singled out the fancy footwork of the dogs. 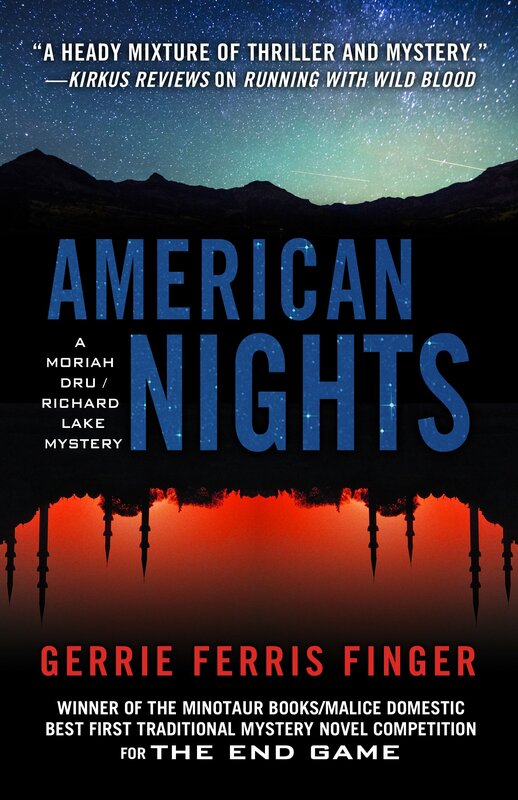 The sixth book in the series, AMERICAN NIGHTS, is a play on the stories in the ARABIAN NIGHTS. Dru is commissioned to find the wife and child of a Saudi Arabian prince, who has a penchant for telling stories of Sharahad and her nightly attempts to stay alive.